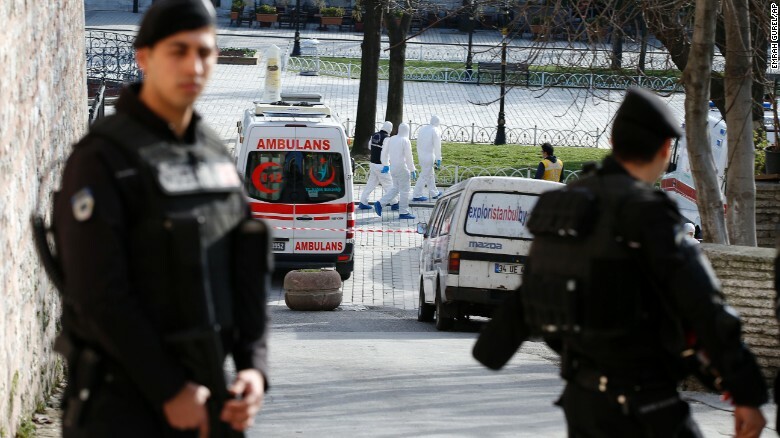 January 18, 2016 (Tony Cartalucci - NEO) - A recent bombing in the Turkish city of Istanbul has left at least 10 dead and 15 injured. The government in Ankara was quick to blame the so-called "Islamic State" (ISIS/ISIL/Daesh), claiming the bomber was "Syrian" and had crossed over from Syria into Turkey before carrying out the terrorist attack. Implicating Turkey as one of ISIS' primary patrons is not done through mere insinuation or by referencing one or two obscure references. It starts with its closest allies among the NATO alliance it is a member of, and continues month after month, year after year, report after report from media organizations covering the conflict in Syria from every conceivable angle, both favorable and unfavorable for Ankara. While the US and Saudi Arabia's role in the creation of Al Qaeda in the 1980's is well-known, and at least Saudi Arabia's continued state-sponsorship of terrorism including Al Qaeda and ISIS is relatively well-known, what evidence is there that Turkey has been involved in directly supporting terrorism in Syria, and specifically, supporting ISIS itself? These logistical pipelines, over time, would morph into ISIS' primary logistical corridors until first the Kurds cut them off to the northeast, and now Russian and Syrian forces are cutting them off to the north. The Guardian never makes it entirely clear just how Raqqa in Syria was now suddenly cut off from its supply lines because of the takeover of Tal Abyad. 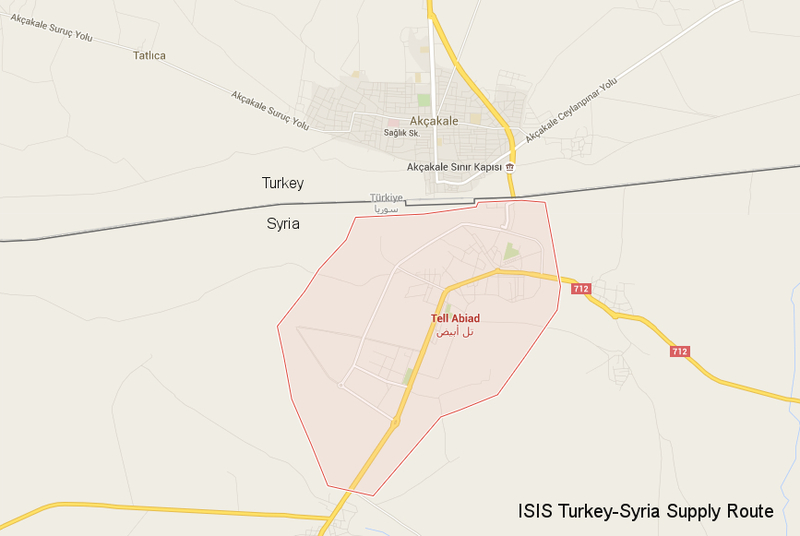 A look at a map shows that Tal Abyad is literally on the Turkish-Syrian leaving Turkey as the only possible source of ISIS' supply lines. The Guardian never explains this, possibly in hopes that its readers are disinterested or incapable of reading maps, because it would reveal that Turkey, a US and British ally, a NATO member since the 1950s, and allegedly a partner in the West's "War on Terror," was aiding and abetting, and in fact, serving as the primary source of ISIS' fighting capacity while simultaneously feigning to fight the terrorist organization. 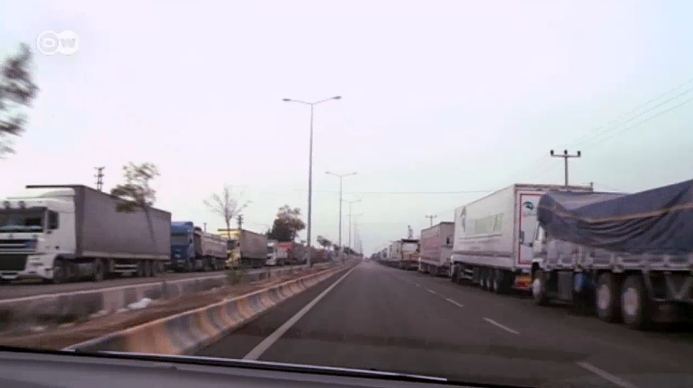 Every day, trucks laden with food, clothing, and other supplies cross the border from Turkey to Syria. It is unclear who is picking up the goods. The haulers believe most of the cargo is going to the "Islamic State" militia. Oil, weapons, and soldiers are also being smuggled over the border, and Kurdish volunteers are now patrolling the area in a bid to stem the supplies. It is perhaps this need to portray Turkey at war with ISIS that leads us back to the deadly attack in Istanbul and other recent bombings like it attributed to "ISIS." If ISIS appears to be carrying out terrorist attacks in Turkey - Ankara, Washington, and Wall Street reason - few will suspect Turkey is in fact one of the primary state-sponsors perpetuating ISIS' continued existence in Syria. If anyone questions Turkey's willingness to self-inflict egregious terrorist attacks upon its own people within its own borders, one needs only study NATO's extensive, decades-long operation of its various stay behind networks - including Turkey's "Grey Wolves" terrorist organization that killed thousands in political violence and terrorism both within Turkey's borders and well beyond them. 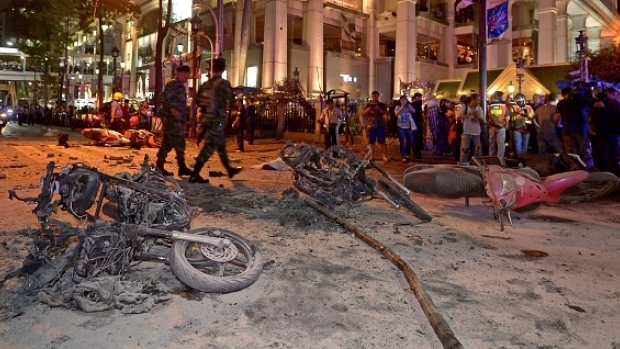 To this day, the Grey Wolves remain engaged in violence, having attacked very publicly the Thai consulate in Istanbul, and having been linked to both terrorism in China's Xinjiang region as well as having been implicated in a 2015 blast that rocked Bangkok and killed 20 people. Considering the hundreds of supply trucks a day departing Turkey, bound for ISIS' defacto capital in Raqqa, and fleets of tankers filled with looted Syrian oil entering back into Turkey forming the cornerstone of ISIS' logistical and financial networks, it is clear that if Raqqa is the heart of ISIS, Turkey's role in running ISIS logistics serves as the arteries feeding that heart with the blood it needs to continue beating. If Turkey is blaming ISIS for the recent attack in Istanbul, then it is clear that it is in turn implicating itself. When asking why it would do that, the simplest answer stands to reason - because if people believe ISIS is attacking Turkey, they are less likely to believe Turkey is in fact backing ISIS. And as long as this charade can continue convincingly, that backing can continue until the goal of destroying Syria is achieved.